by Jack Warner If you were an avid moviegoer in 1995, then you’d likely know that the Australian-American film, Babe caused quite a commotion when it first came out. It won a whole load of awards (including one from a certain Academy), provoked some picketing sessions outside cinemas by activists who were not fans of pig abuse (of which there was very little in the making of the film), boosted the numbers of the then fledgling vegetarianism movement by a considerable extent and grossed good ol’ Universal Studios a grand total of a little bit over $254 million. 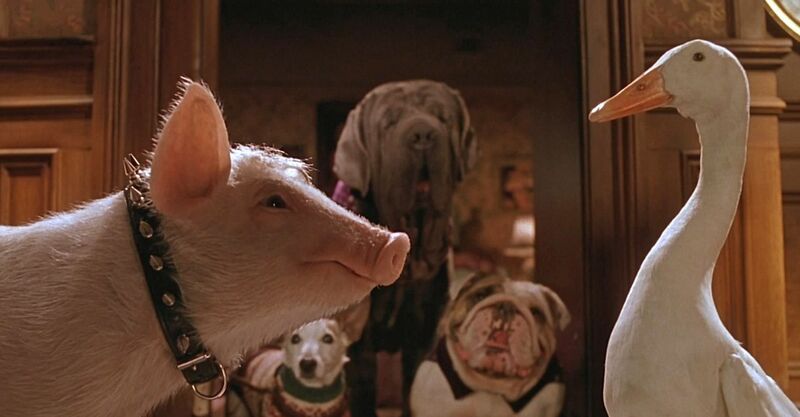 If you were a kid or a parent looking for something to do in 1995, well, then, maybe you just remember it as a really good, endearing talking animal movie about a cute little pig on a farm. Not a lot of people seem to know about the second one, though. Most that have seen it don’t remember it and most that haven’t aren’t even aware it exists. Upon an initial guess, you’d assume that it’s just another studio-minded sequel that was tossed into theatres, right? Poised to swindle some cash from the parents of children who can’t tell a script from a fable. And why wouldn’t you make that assumption? The Secret of NIMH, Home Alone, The Sandlot, Free Willy, Homeward Bound: The Incredible Journey, and so on… They’ve all been cursed with critically derided, largely forgotten sequels whose sole purposes were to turn a buck from a dime. So why should the sequel to Babe be any different? The movie was directed, co-written and co-produced by George Miller, the producer of the original Babe as well as the person responsible for all the Mad Max films, the two Happy Feet’s. His previous directorial effort under the studio system — The Witches of Eastwick, over ten years prior—had left such a horrible impression on the man that he refused to make the new Babe unless he had the final say on the cut of the film. The movie has a small reputation as being the most expensive and most complicated live-action children’s film production of its time. Most major sets had to be built from scratch from the ground up, and the only location the producers could procure was in the old and decrepit section of an abandoned amusement park. Almost every shot involved multiple trained animals having to both interact with each other, and hit incredibly specific marks in time with the complicated camera movements. There are a few shots that even involved over a hundred animals in the frame simultaneously. The financial failure of this movie is cited as the primary reason for the resignation of then Universal Studios’ head Casey Silver, and the current president has called it one of the two worst films the studio has ever made (the other being 2010’s The Wolfman). I think people get a little taken aback when I tell them Babe: Pig in the City is my favorite movie. Sometimes they’ll give me a funny look. Not a lot of people ask me why I like it, though. 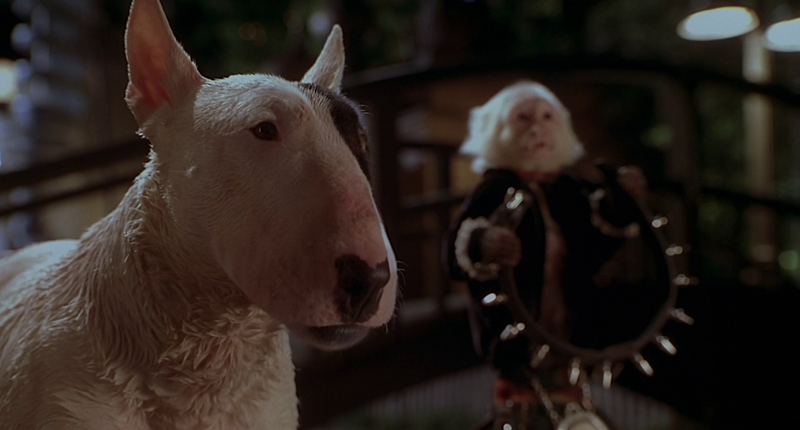 The camerawork, lighting, music and acting (including and especially the acting by the animals in their complex and figurative roles) is some of the best I’ve ever seen. But most of all, I love the film because no matter how dark things get, it shows how kindness, courage and compassion can make things better. 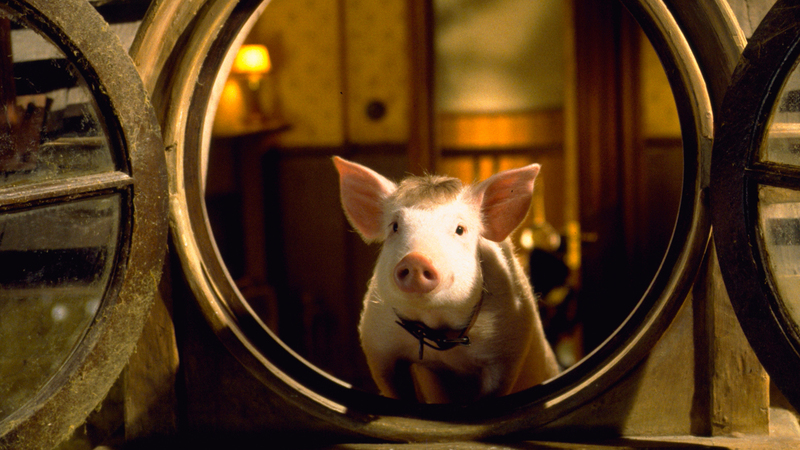 Believe it or not, Babe: Pig In The City is a film for intellectuals—children intellectuals. For those young cognoscentes out there with a keen eye and a sharp wit, most every scene and character is steeped in complex social commentary—children social commentary. Racism, classism, dependency, victimization, intolerance, indifference and oppression are all thrown up on the big screen for those feasting little minds to devour. Why doesn’t the city allow pets? Why do the chimpanzees kidnap poor little Babe? Why does the Bull Terrier have an obligation to maliciousness? And why in the world does Thelonious feel the need to get dressed? All these questions and more will be riddling the brains of those little literati tykes as they watch this philosophizin’ flick. That sounds a little bit like an advertisement, doesn’t it? Well, that’s because, really, while these social issues do play a major role in the story, in actuality it isn’t what the movie’s about. And really, the kids aren’t the target audience for those more complex themes. The racism, oppression, dependency and victimization—stuff that people, whether they notice it or not, see every single day—it’s all what’s responsible for putting the film’s characters in their dingy, begrimed situations and mindsets. It’s the stuff adults (should) understand, but that children don’t. And this is where we get to what the movie is actually about—something both kiddos and ’dulties could do well with learning or reminding themselves of, such as turning the other cheek. Or being nice to people, no matter who, where or how they are. Or doing your best to improve the lives of those around you. You know, selflessness and compassion and kindness and heart—stuff that you hardly ever see in any movies, regardless of the target audience. Some of the few lessons that anyone—no matter how intellectual, or how old, or how wizened—could learn from. Tags: Jack Warner. Bookmark the permalink.